Rewards up to the amounts shown will be paid by the Government of South Australia, at the discretion of the Commissioner of Police, to anyone who provides information leading to the apprehension and conviction of the person or people responsible for crimes posted. Gail King Disappeared on July 7, 1997, presumed murdered. The Brahma Lodge mother, 28, was last seen leaving her holiday home at Minlaton, on Yorke Peninsula, SA. Police have searched a location on southern Yorke Peninsula for her remains after receiving information from the public, but no arrest has been made. Gail King was residing with her defacto husband and two children aged 5 and 3 respectively, at Mortess Street, Brahma Lodge, SA. Over the weekend of 5/6/7 July, 1997, the family attended their Minlaton holiday house on the Yorke Peninsula. Gail arrived on Sunday, 6 July, 1997. At about 6.00pm on Monday, 7 July 1997, Gail King left the house in her Toyota Corolla Hatch vehicle to return to Adelaide due to other commitments. (This is the last positive sighting of King). King’s defacto returned to their Brahma Lodge home at around 6.00pm on Tuesday, 8 July, to find King’s vehicle parked in the driveway and lights to the house on. The house was in a secured state, with no signs of a disturbance. King was reported missing to police the following day, Wednesday, 9 July, 1997. Concerns are held for the safety of King as she has not made contact with her family or children, failed to keep appointments and failed to return to work after annual leave. King has not accessed her bank accounts or contacted friends. King is described as 28 years, 175 cm’s, 85 kg’s, heavy build, olive complexion, brown wavy hair which was pushed back and below the shoulder and she has brown eyes. King was last seen wearing loose fitting type clothing. Also missing is her black vinyl handbag 30cm by 20cm, gold clasp, 60cm shoulder strap, containing keys, personal papers, photographs and a black wallet type purse which may have contained $200.00. The matter has been declared a major crime and if any person knows the whereabouts of King or can assist with the investigation could they please contact Crime Stoppers on 1800 333 000. Gail and her partner Marvyn Upton were renovating their second home at Minlaton on Yorke Peninsula when something happened that overturned her life. Gail, three months' pregnant, told Marvyn she had to return suddenly to Adelaide for a work meeting. The mother of two got into her Toyota Corolla and drove away. It was the last Marvyn and children, Tyson, then 5, and Bethany, 3, saw of her. Gail did drive back to Adelaide and the family home at Brahma Lodge where Marvyn found the car parked in the driveway the next day. The lights in the home were on and six albums of family photos containing 100 photos were missing, as were Gail's black vinyl handbag and purse. Police immediately tried to retrace Gail's movements after leaving Minlaton. It was discovered she had not gone to her work - she was a carer at a Gilles Plains nursing home - and seemed to have had no contact with friends or relatives. Her bank accounts had not been used. What did come as a surprise was a confirmed report Gail had been seen drinking with an unknown man at the White Horse Inn on Port Wakefield Rd, Bolivar. There was no evidence to suggest Gail and Marvyn were having relationship problems. Marvyn, a lawn-mowing contractor, had met his future partner over drinks at Brahma Lodge Squash Centre and the two moved in together a year after their first date. Gail had shown some moodiness before she vanished, which Marvyn put down to her being pregnant. Major Crime followed up a variety of leads and concluded Gail had not run off, was a conscientious worker and a loving mother. "There were a lot of things she would do that she failed to do," one investigator said. This led to the conclusion Gail may have been murdered. A $100,000 reward is being offered for information about the suspected murder of an Adelaide woman who went missing almost 10 years ago. 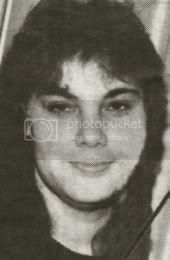 Gail Leandra King was last sighted on July 7, 1997, after leaving the Yorke Peninsula town of Minlaton, where she had been holidaying with her de facto partner and two children, to return to her suburban Adelaide home. When her partner and children arrived home the following day, Ms King's car was in the driveway and lights were on inside the Brahma Lodge house but the then 28-year-old was not there. Police said there were no signs of a disturbance at the house. They said there was no explanation for Ms King's disappearance and it was strongly suspected Ms King was murdered. The SA government today said public assistance was earnestly being sought to solve Ms King's disappearance. It said a reward of up to $100,000 would be paid to anyone with information leading to the apprehension and conviction of the person or persons responsible for her suspected murder. PETER King says he knows who killed his big sister, Gail, who vanished almost 18 years ago. “I know the police need evidence to take action, but you do feel helpless in this situation,’’ he said. Despite extensive investigations by Major Crime detectives, the disappearance of Brahma Lodge mother Gail King, 28, remains unresolved. While detectives have a suspect in the case, they lack evidence to progress the file. Ms King has not been seen since she left her holiday home at Minlaton, on Yorke Peninsula, about 7pm on Sunday, July 7, 1997. He de facto husband, Marvyn Upton, told police she had said to him she was returning to Adelaide for a work meeting scheduled for the next day. Ms King, who was three months pregnant, left her two children — Tyson, 6, and Bethany, 4 — with Mr Upton. He said when he returned to their Brahma Lodge home a day later, the home was locked and Ms King’s Toyota Corolla was parked in the driveway. Her handbag and overnight bag containing her clothes were inside the house. Mr Upton said the only items missing were several photo albums. Since Ms King vanished, no attempt has been made to access her bank account, which contained a significant amount of money. In an interview with The Advertiser following his de facto’s disappearance, Mr Upton, who still lives on Yorke Peninsula, revealed police had told him he was a suspect in her presumed murder. “I can understand their point of view but when you’re innocent and you get told this ... it’s not very nice,’’ he said. The case officer, Detective Sergeant Brian Swan, said the file was about to be reviewed. Exhibits in the case — including several shovels seized from a suspect’s home — were also being subjected to new DNA testing. He said there was only one suspect in the case — whom he declined to identify — and that person remained the focus of the investigation. “While we do not have her body, all evidence indicates there has been foul play,’’ he said. Det Sgt Swan said the evidence indicated there was “no doubt’’ Ms King had not vanished of her own accord. She worked at Gilles Plains as a carer and intended to attend a meeting at her workplace on July 8. “You just don’t disappear when you have made plans like that,’’ he said. “And you just don’t leave two little kiddies behind like that. She adored them and they adored her. Det Sgt Swan said there were puzzling aspects to the case, with one being the fact the green tracksuit Ms King was wearing when she was last seen by Mr Upton was found at her Brahma Lodge house. Strangely, while the tracksuit had been washed, other clothing found in her overnight bag — including underwear — had not been. Mr Upton has told detectives he washed the tracksuit, along with some of his dirty clothes the day he returned from Minlaton. The tracksuit has been subjected to extensive forensic testing, but no evidence was found on it. Extensive searches of the area and sandhills at nearby Port Rickaby have also been conducted in the hope of finding Ms King’s remains. Detectives sought an opinion from the Office of the Director of Public Prosecutions on the evidence against the suspect but have been advised they do not have enough to put the person before court. While Ms King’s parents, Wilfred and Joyce, had died without seeing justice for her murder, Mr King, 41, said his family were still hopeful of not just a resolution in the case but one day finding Gail’s remains. “My family spends time on the peninsula and you do wonder where she might be every time you go there,’’ he said. Mr Upton could not be contacted for comment by the Sunday Mail. A $200,000 reward is available for anyone who provides information leading to a conviction in the case or the recovery of Ms King’s remains. Fresh inquiries are being made by Major Crime investigators in connection with a 20-year-old unsolved missing person case, it was confirmed this week. SA Police revealed the line of inquiry this week when speaking to Crime Stopper’s TV partner, Channel 9, about the disappearance, and suspected murder, of mother-of-two Gail King in 1997. Major Crime Investigation Branch’s Operations Manager, Detective Inspector Greg Hutchins, who has been involved with the investigation since it began, said the cold case is undergoing a review as part of Operation Persist. However in addition to that police have had recent contact with someone who had provided “a different taint” to the inquiry, he said. Dtv Inspector Hutchins said one of the wider benefits of Operation Persist and the ongoing SA Police relationship with Crime Stoppers was that people were continuing to come forward with information in relation to a range of unsolved matters. He said that during late 1996 and into 1997 Ms King and her defacto partner were doing weekend renovations on a property at Minlaton on Yorke Peninsula while continuing to live at Brahma Lodge. Her partner, who has been told by police that he is a suspect in this matter, told police that on the evening of 7 July 1997 Ms King left the Minlaton property alone to return to Adelaide for work the next day. He then returned to Adelaide with her two young children on 8 July and found her car in the driveway, with the home secured but no sign of Ms King. She was reported missing on 9 July and her disappearance was declared a Major Crime on 22 July. “We are keeping an open mind in relation to this matter – there are a number of unexplained aspects of this case which we will keep working on,” Dtv Inspector Hutchins said. A $200,000 reward is available for anyone for anyone providing information leading to the apprehension and conviction or a person for Gail King’s suspected murder, or for the recovery of her remains.